Advance Tabco PRBB-60 Prestige Series Stainless Steel Beer Box - 60" x 25"
Keep all of your beer cool and conveniently within arm's reach with this Advance Tabco PRBB-60 Prestige series stainless steel beer box. Items found within the Prestige series of underbar equipment line up perfectly with each other, creating a uniform look across any bar. In addition to a number of eye-catching features, this item boasts an exclusive twist-action leg assembly for added strength and an extended backsplash to create a truly one-of-a-kind unit. An 18" deep cavity is insulated with 2 lb. density styrofoam to keep up to 18 cases of bottled beverages at a temperature that's perfect for serving. 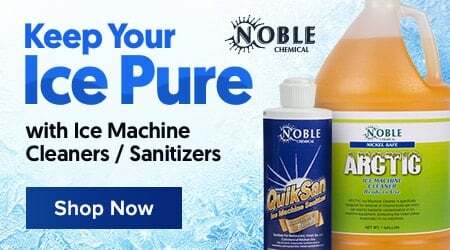 A perforated, removable false bottom and 1" IPS drain allows melted ice to drain, ensuring proper sanitation by not letting water sit in the bottom of the box. This unit can hold up to 12 cases of beer at a time. Designed for exceptional durability and years of high volume use thanks to sturdy construction, this beer box also boasts a 7" backsplash to protect the wall and help maintain a sleek, professional appearance. 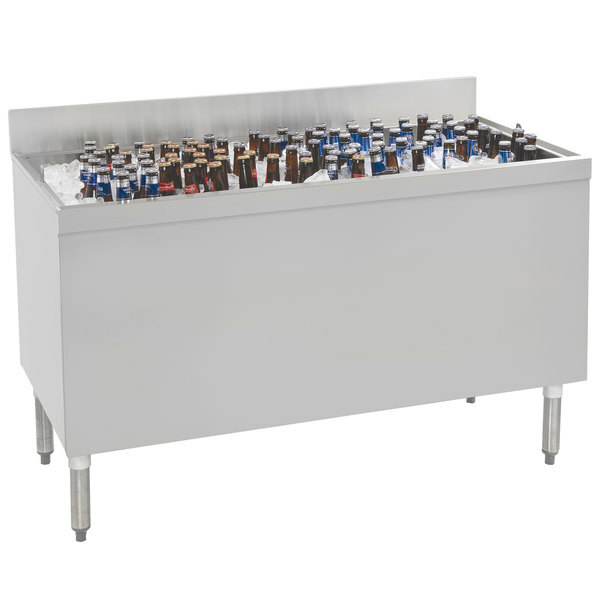 Ideal for any drink-serving station or high volume bar, the Advance Tabco PRBB-60 beer box allows your operation to serve any type of bottled beverage with ease.